Clint Eastwood has a gift. He is a gifted Actor, Director and Writer and to be able to have the privilege of watching his films is an honor. 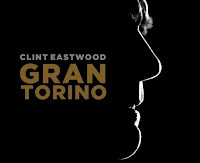 This is the 2nd Eastwood Film in a year (The first being The Changeling). The fact that this film is as good as it is, is testament to his hard work and dedication to his art. It is an honest look at today's society through the eyes of a retired, racist, widower who is forced into the lives of his Asian neighbors following the attempted theft of his Gran Torino and the attempts of a local gang to corrupt their youngest Son. It is not necessarily an easy film to watch as it does contain a number of disturbing themes, but I would certainly recommend seeing this one at the movies if you get the chance, it is beautifully shot and framed in the widescreen format.